Due to constantly advancing digital technology, even the most die-hard tone masters enjoy the benefits of amp modeling products. Even famous artists now rely on the convenience and range of tones available from amp modeling while performing, practicing or writing. If you’re looking for a modeling amp, here are a few things to consider. What Does Amp Modeling Actually Do? The term modeling usually refers to emulating or recreating the sound of something digitally. Amp modeling is basically Digital Signal Processing (DSP) that emulates the sound of different amplifiers and speaker cabinets. 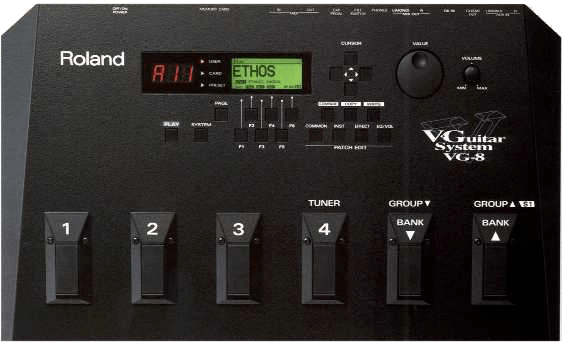 Amp modeling isn’t exclusive to plug-ins, in fact, modeling started with hardware – the Roland VG-8 V-Guitar System. Today’s guitarists can find a host of guitar amplifiers, pedals and rack-mounted gear – all with the ability to model a variety of different amps. So, what are the main advantages of amp modeling? Broadly speaking, there are four areas: convenience, reliability, flexibility and cost. One amp modeling product can provide the sound of hundreds of amps, speaker and even microphone combinations; way more than you’re ever likely to be able to buy, store, maintain and transport. Imagine being able to combine the tone of a hot Fender Twin with two different 4×12 cabinets for your lead sound and a stereo Roland JC-120 with a sweet reverb effect for a clean tone, just by dialling up a preset. The other advantage is that amp modellers tend to work well in most scenarios. Tubes sound great, but remember they are a decades-old technology and come with limitations. They sound best when they are running hot and cranked up all the way. But hot tubes usually mean serious volume and vice versa! The tubes also need to be treated much more carefully and require time to warm up; also the tubes will need replacing from time to time by someone with the right equipment and knowledge. An amp modeller can imitate the coveted characteristics of a hot tube amp at very low volumes or even through headphones, meaning you can play for longer and at much more unsociable hours with a full-on tone. Thanks to the latest DSP technology, it’s now easy to emulate virtually an infinite range of amp and speaker combinations. Complex algorithms have been designed to give ultra-realistic responses that simulate the result you get from a mic’d-up cabinet in different size rooms, with adjustable mic positioning and amp character that responds naturally to the way you play your guitar. This provides the player with an almost limitless tonal canvas on which to experiment, potentially saving thousands of dollars and years of tweaking and experimenting. They sound exceptional, straight out of the box. 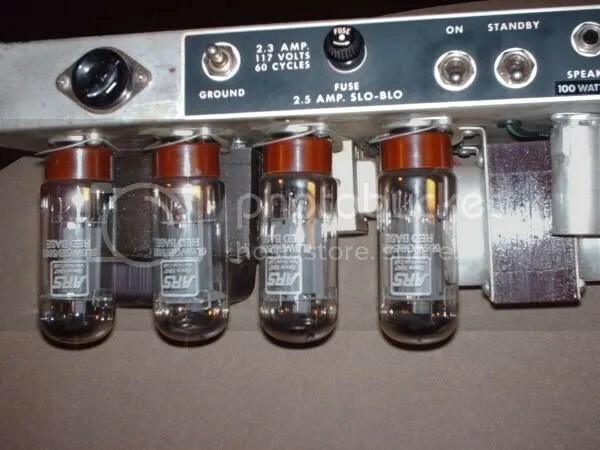 Most legendary tube amps are also famous for a particular sound or characteristic but amp modeling can build on these by being able to adjust parameters of the modelled amp beyond what the original can do. For example, you could have a much more adjustable EQ, more gain, less hum, an effects loop or different speaker configuration. There are, however, different types of modeling algorithms, all of varying quality. Some provide a ‘snapshot’ of the tone that initially sounds great, but once you start tweaking, they become much less authentic. Other modeling systems such as Roland’s COSM system actually model different aspects of all the individual components that make up your modelled rig, as well as the associated effects that countless guitarists have come to love. But remember, all this technology requires hardware that can handle the job. If you’re using software, make sure your computer can do the number crunching or you’ll get poor performance and even latency. Generally, purpose built hardware with dedicated DSP chips and algorithms will reward you with the best experience and tone. You can find this technology in our CUBE series amps and other hardware such as the VG-99 V-Guitar System, GT-100 Amp effects Processor, GR-55 Guitar Synthesizer and others. Yeah, that stupid tube myth is over…. Embrace technology, guitar snobs!!! !